The Spanish startup Panoramio.com has been acquired by Google. This is not very surprising, as they already were linked very intimately with Google Earth. For those who don’t know Panoramio yet, it is a clean, nice photo sharing site. Its specialty is that every photo is geographically marked. Select photos appear on Google Earth and the site itself is organized around Google Maps, where every location marks available photos with an icon or a small thumbnail. For now, our user interface will not change; accounts, urls, features… We will keep working for Panoramio as a team, but this time using Google infrastructure as Panoramio further integrates into Google’s mapping technologies. We will also keep answering e-mails directly as much as possible. More than a year ago, Henry Story blogged about Keeping track of Context in Life and on the Web. It is about the context of the story you’re telling, as essential background information for the general audience and distracting bloat for the initiated at the same time. The conclusion is that, using a semantic web approach, you could provide links to as many contextual facts as you like, without the need of directly exposing these to the observing end user. Just use those links for queries and matching algorithms wherever appropriate. In other words: don’t bug me with redundant metadata if I don’t need it. This might be even more true for content creation: just read Cory Doctorow’s Metacrap article again and you know why. Years ago, almost immediately after I bought my first digital photo camera, I started to realize why metadata is important. In a few words: taking pictures is easy, storage space is cheap and deleting images is a pain. You need to carefully compare and make sure to pick the best one. So, hundreds, soon thousands of images started to pile up in the form of un-imaginatively named blobs, like “IMG_1123.JPG”. Essentially, these images get lost as the proverbial needle in a haystack. Now you could put all those images in folders, labeled after an event, date, person or whatever. But this is a tedious job and only provides a very flat view (you don’t even want to think about creating nested or linked structures on your file system). Then, I soon found out that every digicam image has embedded EXIF meta data, which proved to be of huge value for tracing back those lost images. If I know that a shot was made during some event, I only need to look up the events’ date and browse all images shot during that period. Then iPhoto came around, with the possibility to add tags (with a terrible interface, use Keyword Assistant instead! ), ratings and multiple album folders. Providing even more metadata and control to find your images at a later time. This year will be the year of the semantic web for the common man, in the first place because of the success of microformats. And because of the original semantic web people, who in general have a very positive attitude towards the grassroots adoption, helping a hand with tools and specifications like GRDDL. This whole movement has led to another change as well. That is, as I see it, people getting to finally understand what the meaning of the original HTML specification was all about: it is the semantics, not the presentation in the first place. 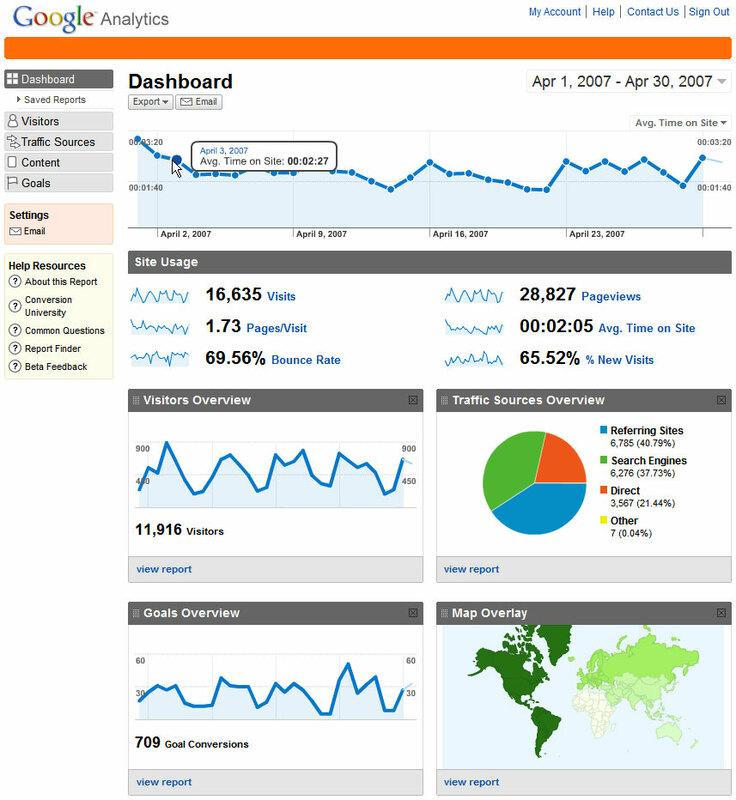 Yesterday Google announced the new, updated version of their Analytics tool. Under the hood, most data is captured just like the current version. But the user interface and data presentation is a whole different story. A flash demo shows many excellent tools to analyze trends and zoom in to visitor navigation paths, decision funnels, trends over time and all you could possibly want to know about keyword conversion (organic as well as paid-for Adwords). The basis for this overhaul has been the acquisition of MeasureMap in 2006. Over the next few weeks every current Analytics account will be migrated to the new version, so most of us need to wait in anticipation of a much, much better tool. Again, Google sets the industry standard at a very high level, though times for the competition to catch up. Read the official announcement on the Analytics blog.